Classic dining chair for the basic human needs, dining around a table with friends in a restaurant, coffe shop or at home. The structure of the wooden frame is locked into position by the plywood when glued. No aditional suport is needed. The chair is light, durable and ergonomic. The Smile Collection was awarded the 1st prize for Best Children’s Furniture at the Furniture China 2012 exhibition. The Smile collection is a children’s range, inspired by the versatility of the little ones, presenting a curvy and ergonomic range, respecting European standards and using certified ecological materials, which are non-polluting and non-harmful to children’s health. A pearl is a hard object produced within the soft tissue of a living shelled mollusk. The ideal pearl is perfectly round and smooth, but many other shapes occur. 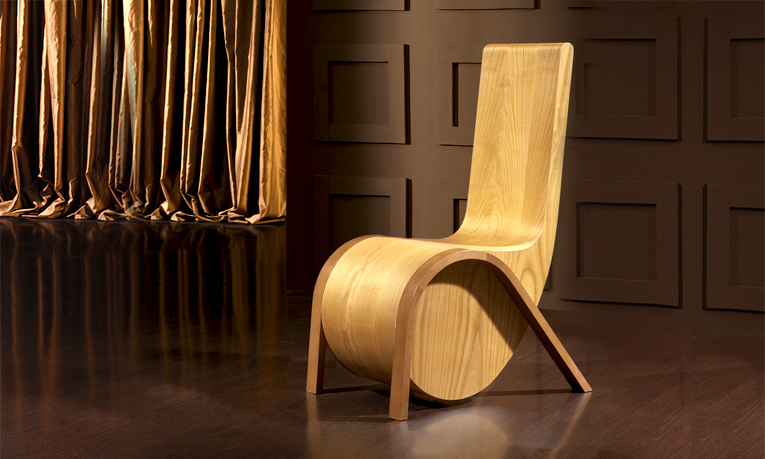 Luís Barbosa created a chair with some pearl details mixed with modern lines, what makes it elegant and charming. Designed with a lacquered back in Gloss White colour and Gloss Cappuccino Colour legs, upholstered with a fine velvet colour nº5 from Dumbo, the pearl chair is perfect for dining room enviromment. Music, like Design, is constantly evolving, with new trends emerging with time. Based on this concept and on the innumerous symbols present on the Musical Score, I have selected one with a rhythmic value to the design of the chair: Seminima (Quarter Note). 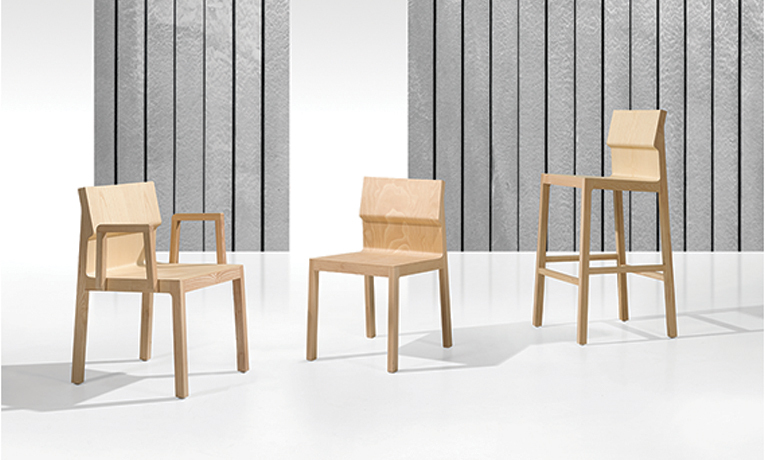 This chair consists of three elements: the center/body of the chair and the two legs. The chair has the design of a Seminima (Quarter Note) building the seat and the backrest, slightly elevated from the floor like it is a note in suspension (on the Musical Score).The Legs are presented in a darker shade that allows to highlight the body of the chair, at the center. They follow the curve of the seat and are obliquely projected towards the floor. Since this chair was not projected to fit in a specific environment, its insertion on a given space is a matter of taste. Fashionable retro-style chair that features an eclectic combination of shapes remembering the courves of the waves in the ocean. 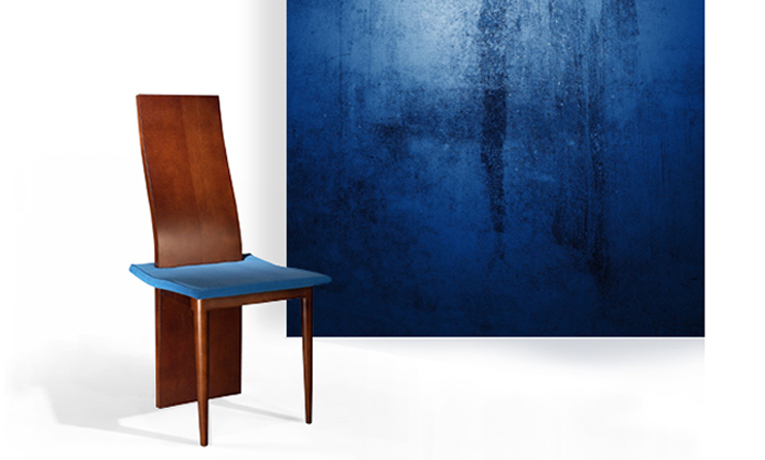 The legs are made out of solid beech wood while the seat is upholstered with a smooth “blue courtisane” fabric. 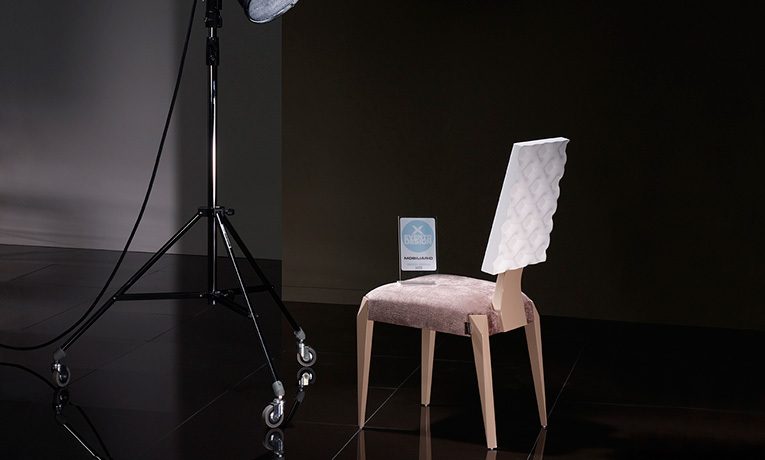 Winner of the 1st Prize at the Exporthome “Evento de Design” (Portugal), that chair it’s perfect for modern and elegant homes, with a particularly expressive taste and style.